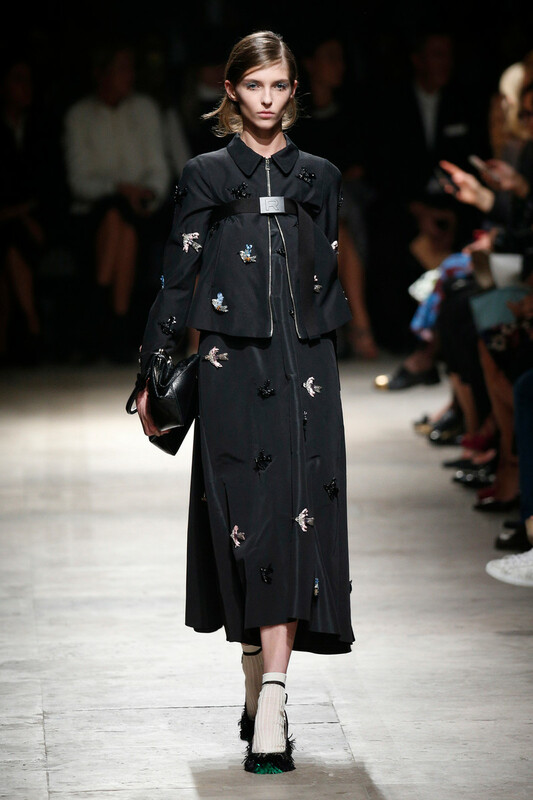 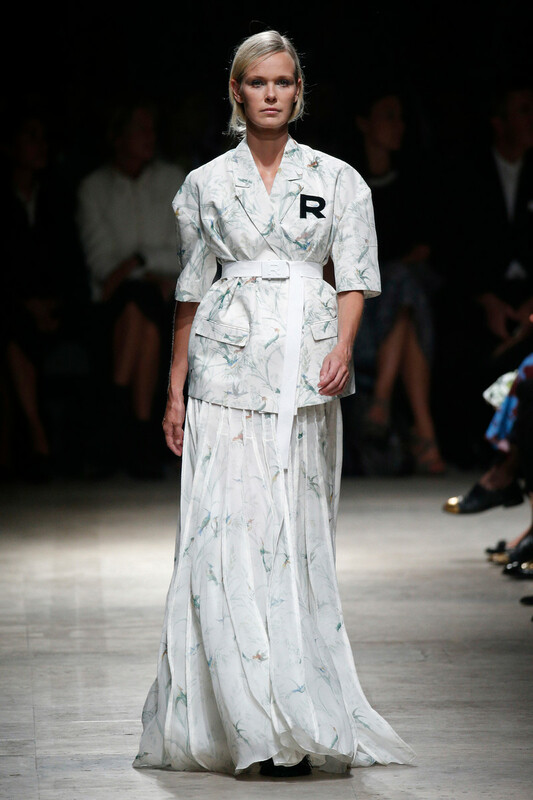 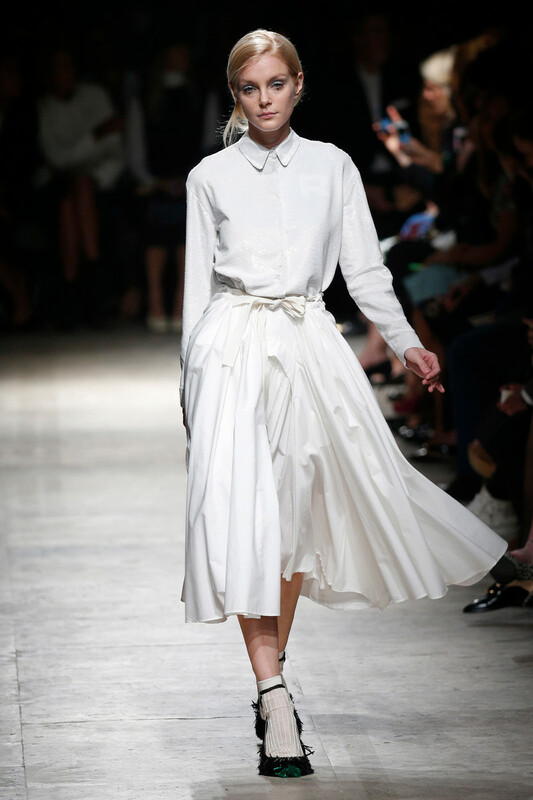 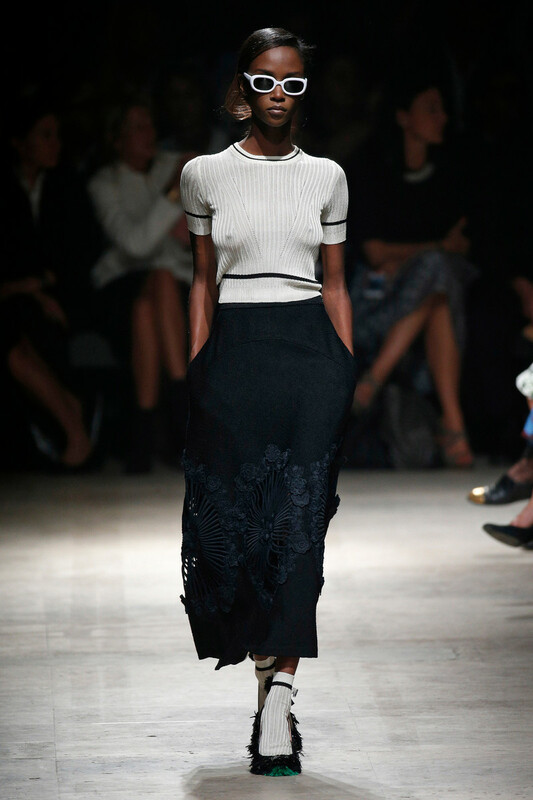 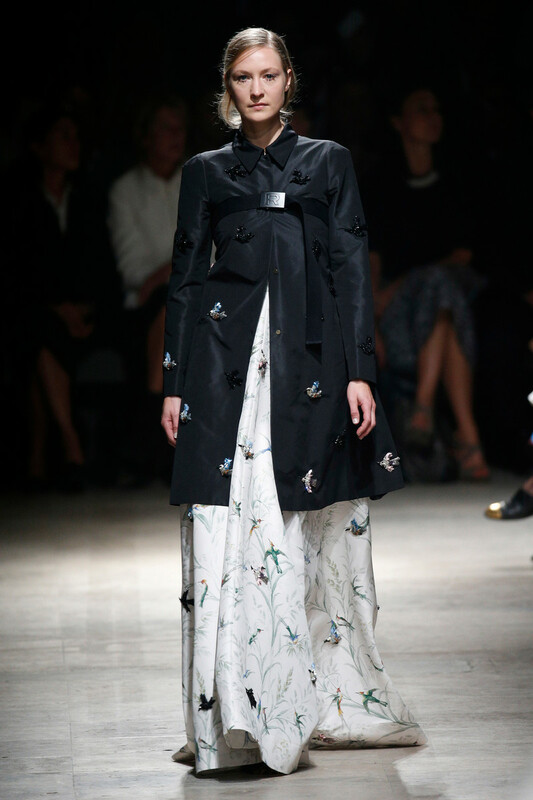 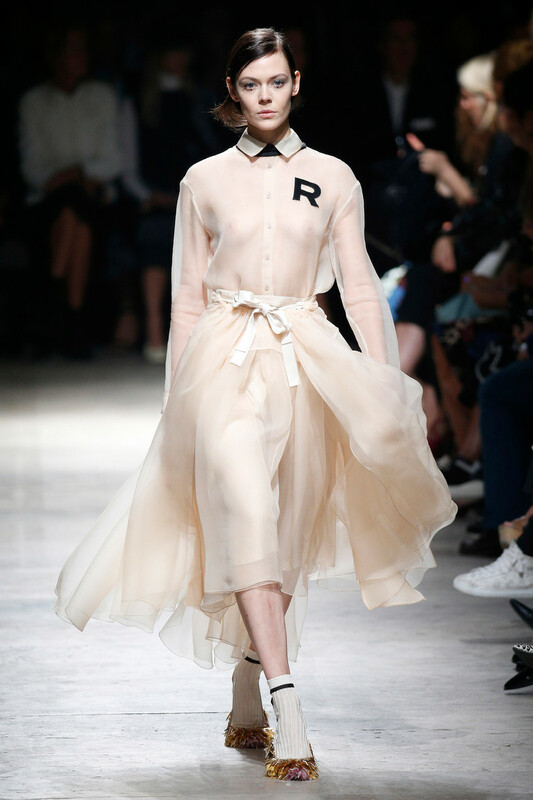 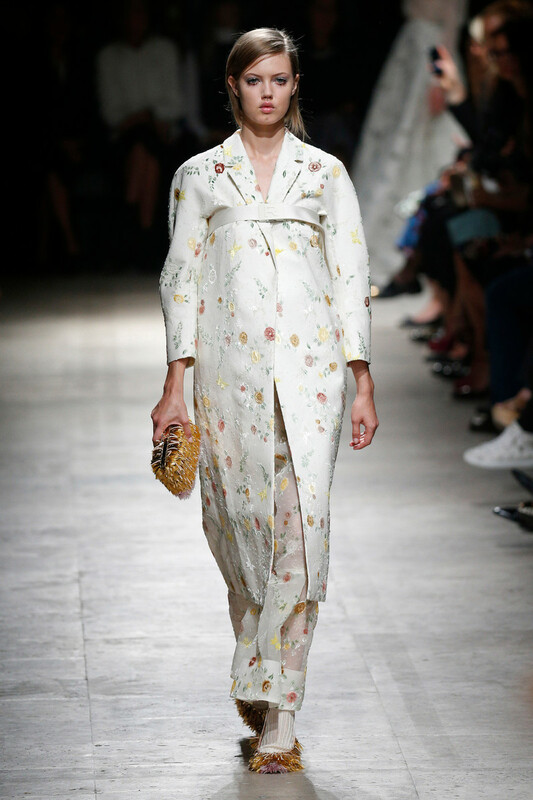 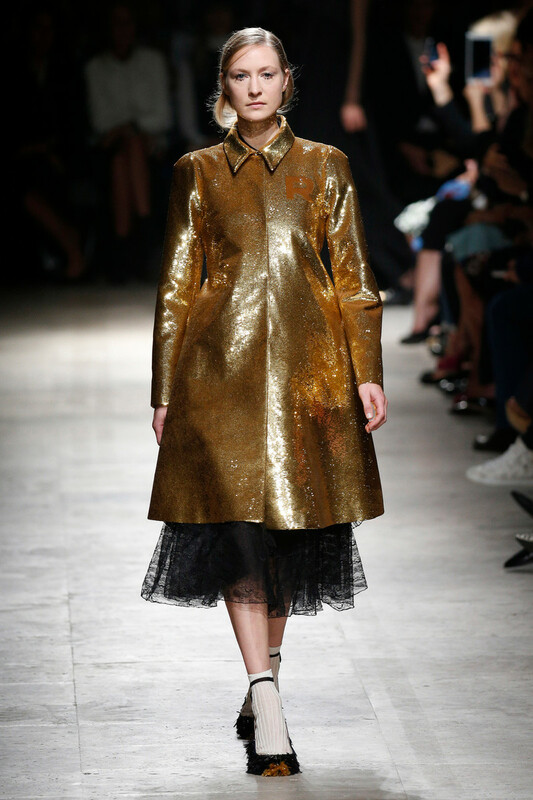 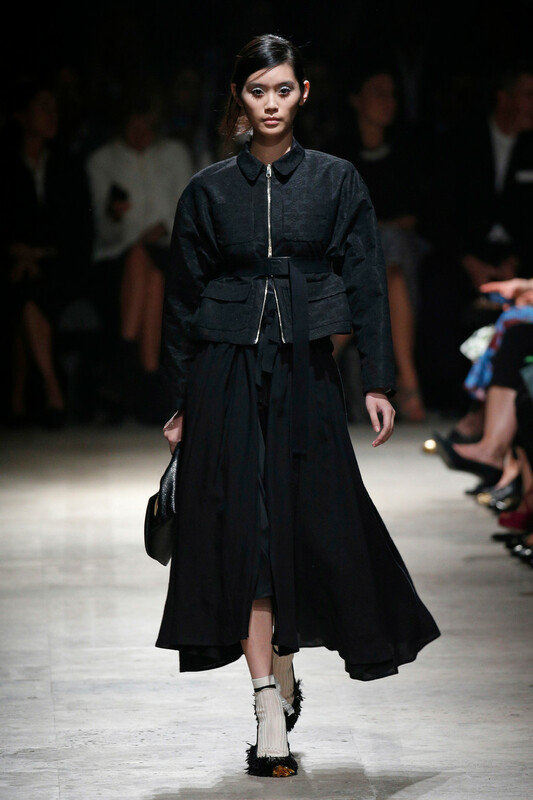 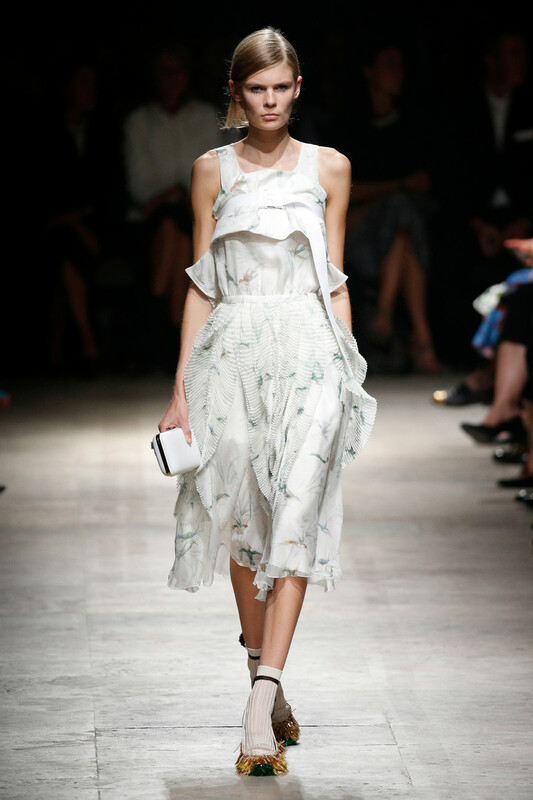 Rochas formed a parade of elegant, airy and ultra feminine designs. 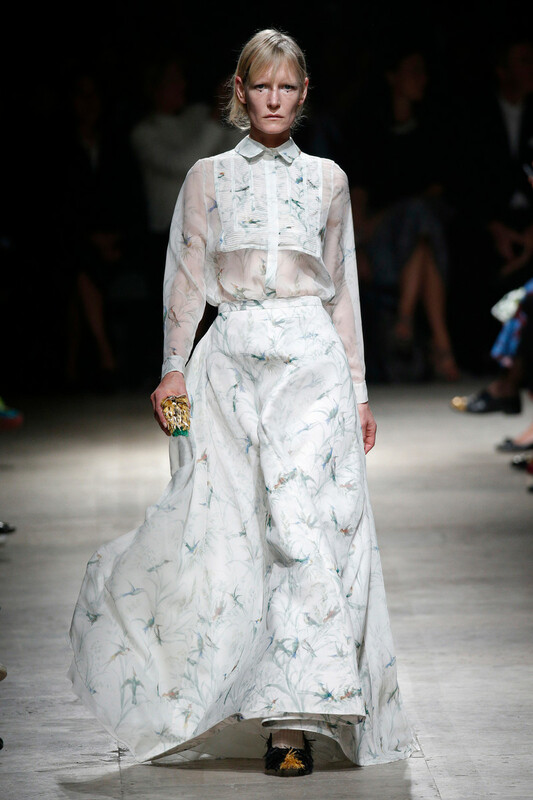 For his second seasaon at the label Alessandro Dell’Acqua basically just showed a mix of midi skirts, maxi skirts and dresses; not a pair of trousers at sight. 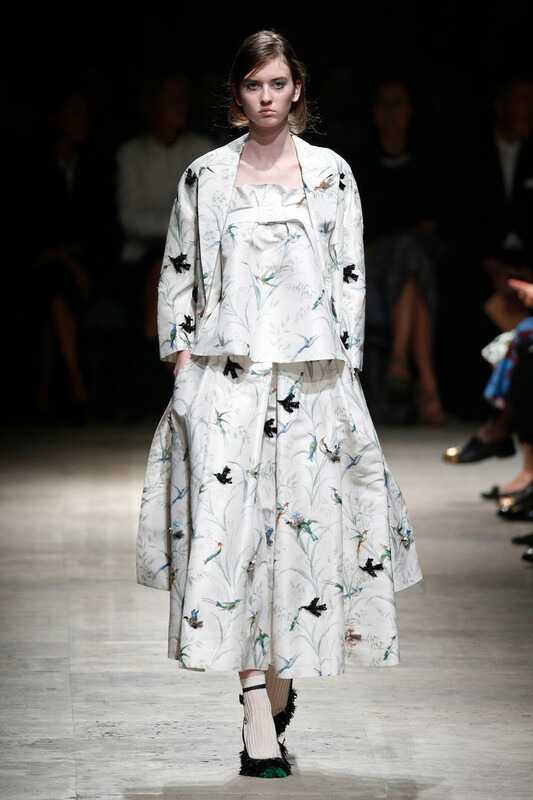 Still there was enough variation thanks to the detailed design extra’s. 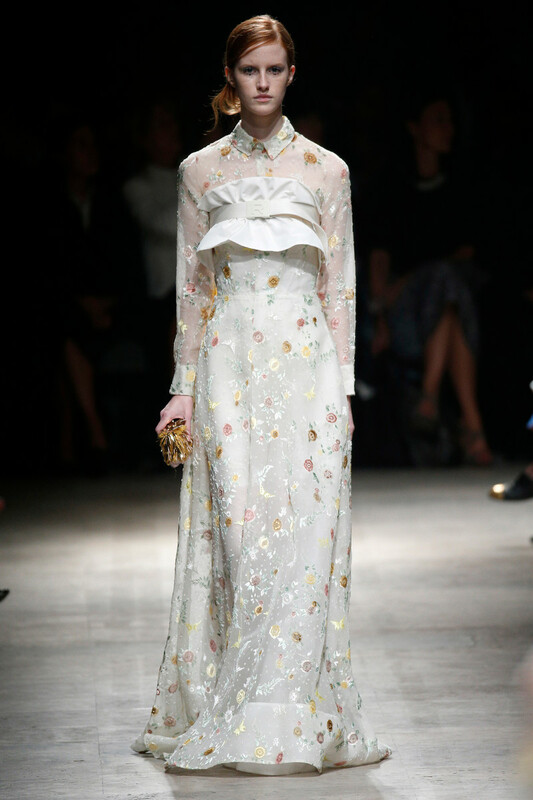 Like colored floral printed embroideries and hummingbird shaped appliques. 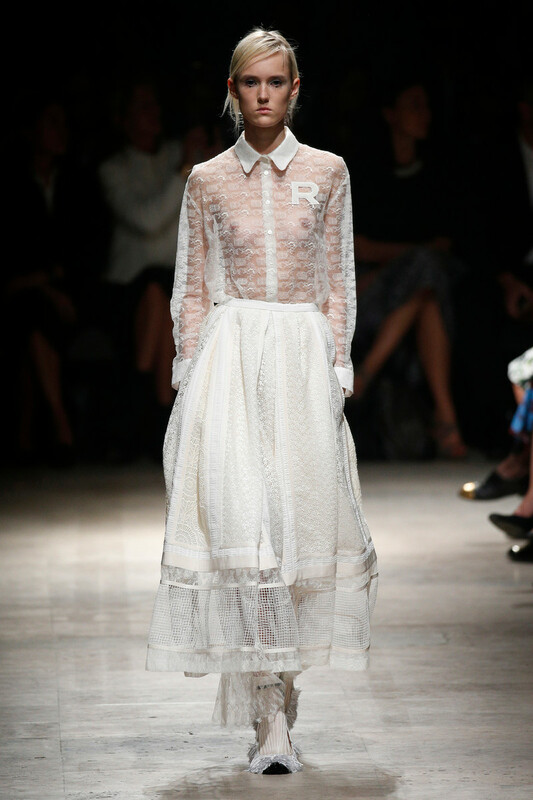 Like posh collars and a big R stichted onto the chest. 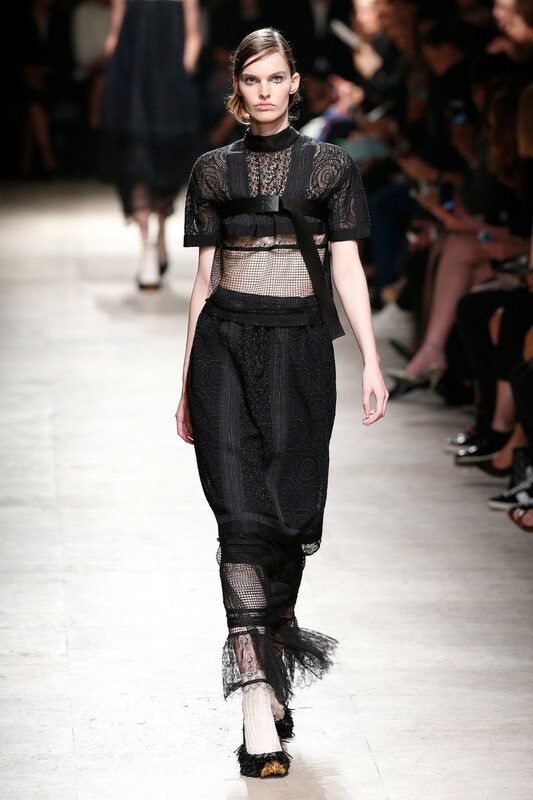 Like mesh parts and belts that closed over breasts and waists. 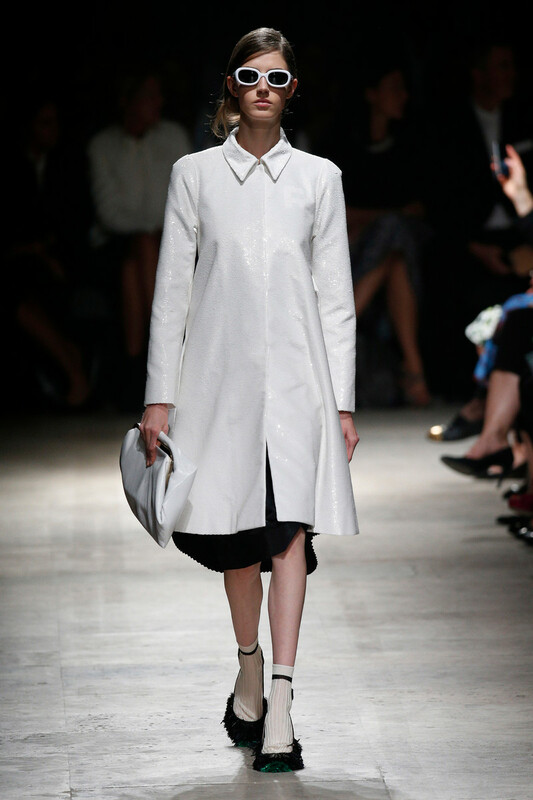 All looks were so highly decorated a clean white coat worn over a black skirt (with clutch and sunglasses) almost felt out of place. 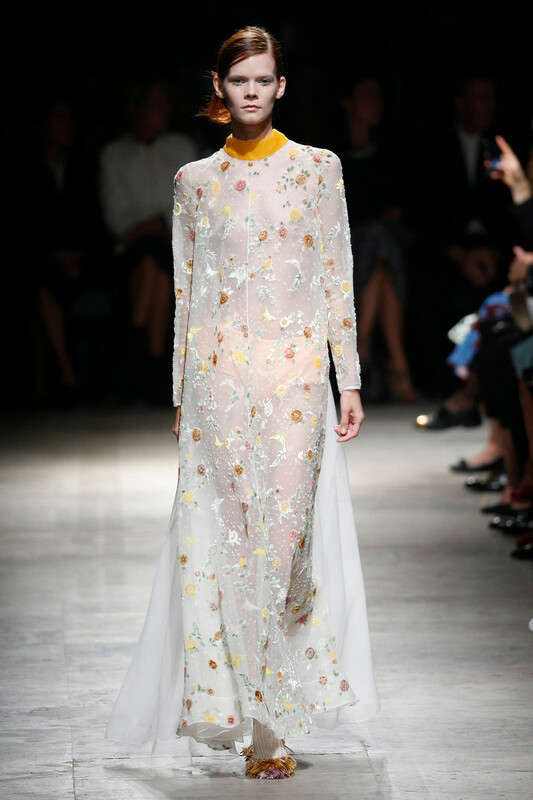 While last season was all about heavy and rich fabrics, this time transparency and sheerness played the biggest part. 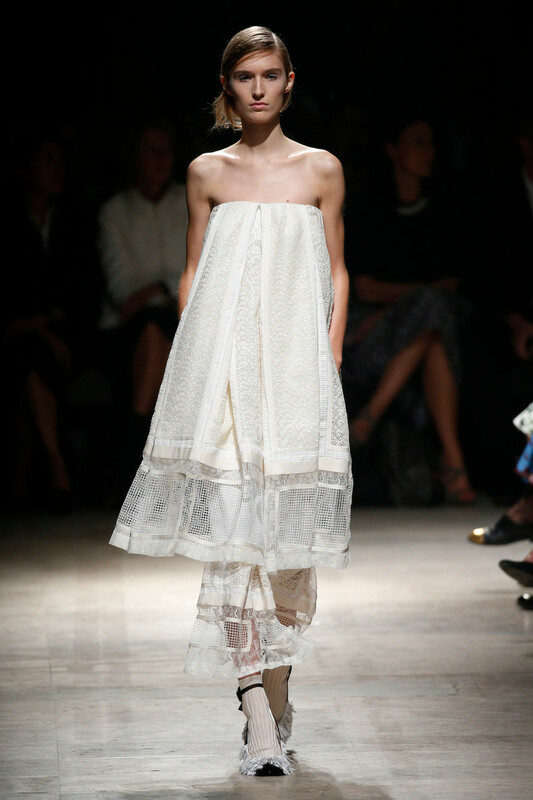 But even though there was a lot at display Dell’Acqua kept things modest. 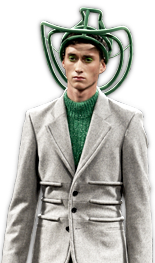 Ankle socks in green and gold feathered shoes added to that effect. 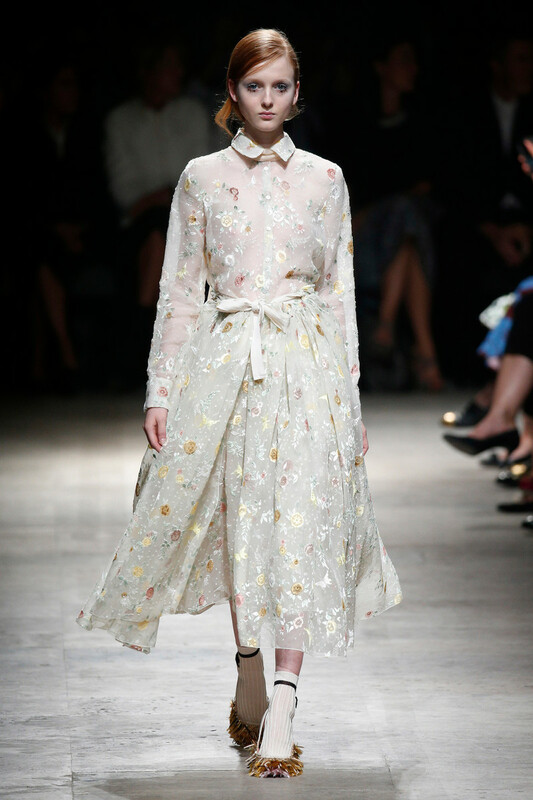 This is what delicacy looks like.